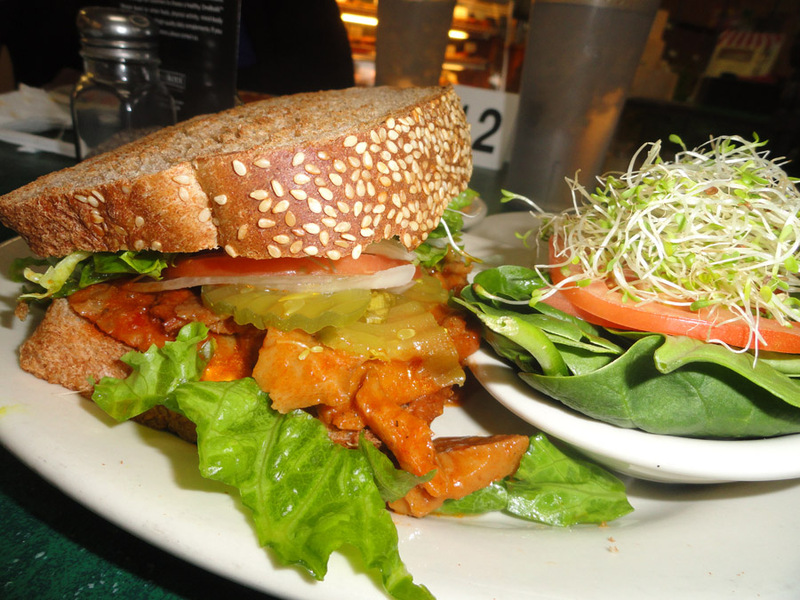 This entry was posted in Sandwich Reviews and tagged Austin, Barbecue, Pickles, Reviews by Brandon, Sandwiches I Have Eaten, Texas, Vegan, Vegetarian by Brandon Stroud. Bookmark the permalink. How was the bread? That looks to be a crooked slice, which at times is a portent of delicious in-house baked bread. I echo your appreciation for effort. Without saying this one was “bad,” a bad sandwich is a lot easier to handle if you feel it was born out of something other than lack of trying.